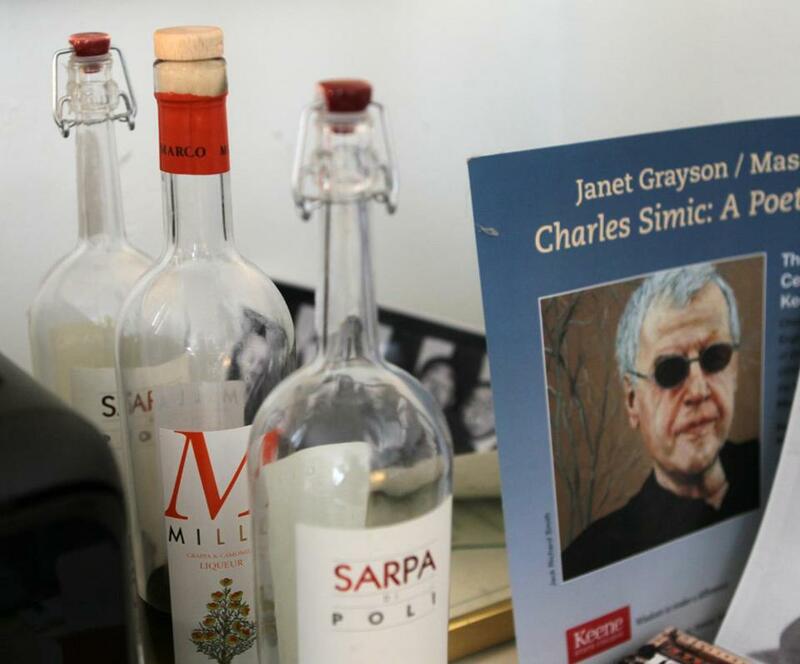 Two years ago, Charles Simic released the career-spanning “New and Selected Poems: 1962-2012.” In April, he’ll release “The Lunatic,’’ a new book of poetry, as well as “The Life of Images,’’ a collection of the prose he’s written over the past 25 years. 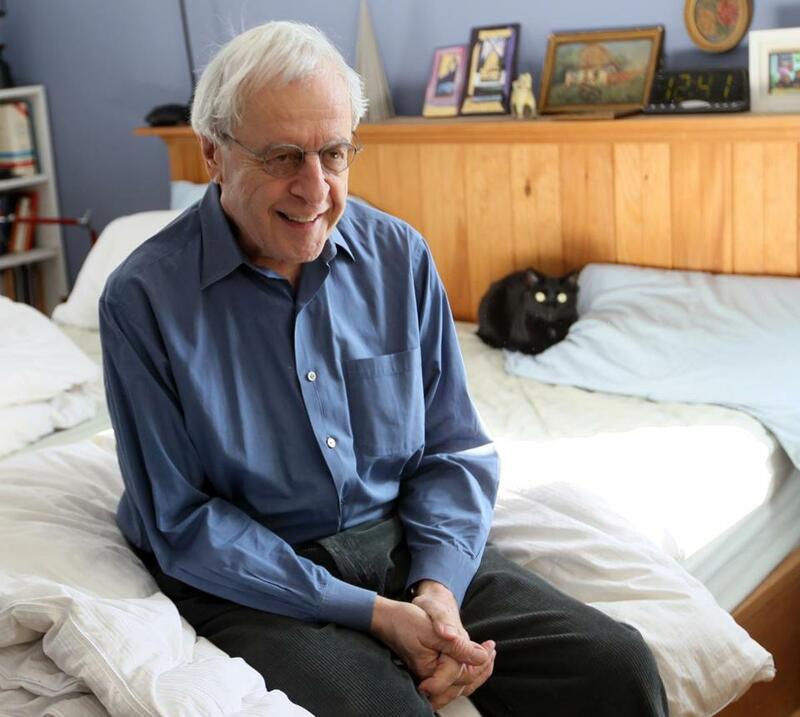 The former US poet laureate, blogger, essayist, and critic lives in New Hampshire and writes poetry in bed. BUSINESS CASUAL: When you write in bed, you don’t feel like you’re doing something serious. I’ve been traveling, visiting European institutions, and they give you a gorgeous space to work, with perhaps a lake and a beautiful desk. I could never write there; I feel intimidated by the whole thing. When you’re in bed, you feel very casual about it. It’s just doodling. CAPTAIN OF INDUSTRY: When I was young, I was really lazy. Even when I was in grade school, teachers would tell my mother I was nice but lazy. When I was in my 20s, I was still lazy — even in my 30s. But at some point, around when I passed 50, I became really industrious. I’m always doing something, writing about all sorts of things, so I’m busier than ever. It’s better not to sit around when you’re old and wait for death. POETRY FIRST: When I write poems, I get up very early in the morning, usually at 5. I’m in the country, and there are lots of reasons to get up early. 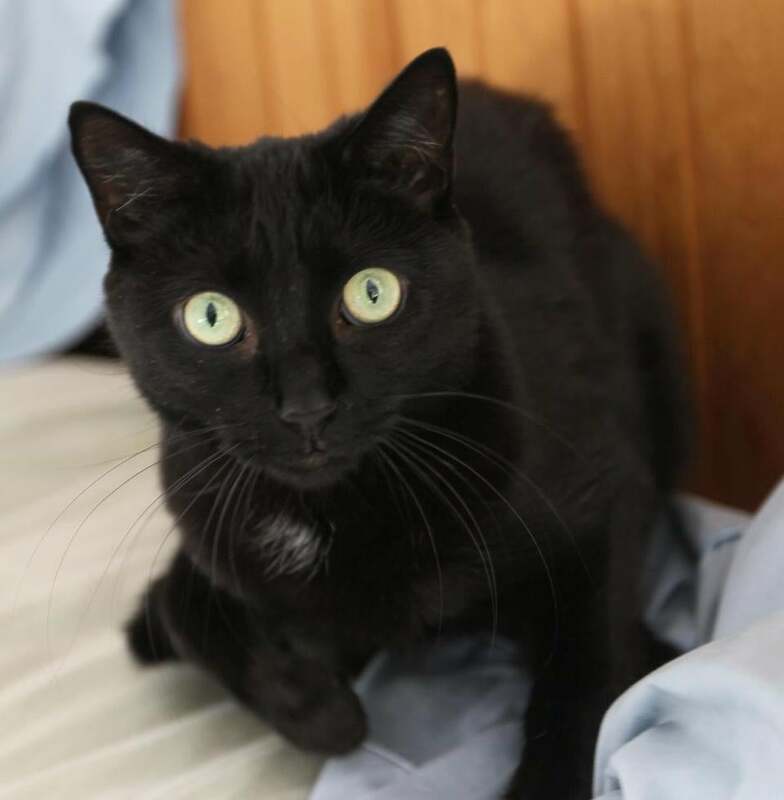 The cats and dogs, you have to kick them out, or they want to come in. When I was young, I’d write poems late at night. I used to smoke and stay up half the night chain smoking and writing, but that all has changed . . . I write prose from mid-morning until the afternoon. Prose is something you have to do every day. It’s a discipline. Poetry is different. You can’t will a poem. Poems sneak up on you, but to get it down, it can take months, even years. With prose, you have to do all the reading necessary and take notes, but you have to sit down every day and work on it, otherwise it’s not going to happen. There’s usually a deadline with [prose] pieces, but nobody cares if I write another poem. Over the years, I’ve written about many different subjects: literature, food, movies, photography, art, god knows what else. I like writing prose very much, but poetry comes first. GOODBYE, GRANDPA: There’s a sort of mystery about how poems happen. They surreptitiously enter your psyche: some phrase, some experience that has been nagging you, something you saw yesterday or something you saw 30 years ago. It’s in your head. I don’t say to myself, “Well, that’s going to be a poem,” because I’m superstitious, and I don’t want to chase it away. When you feel the urge to write something down — when you have more than a phrase — then things get going. How far they’ll go is hard to anticipate. I’ve written 24-line stanzas and couldn’t figure out the ending for 10 years, and then one day, it just strikes you. So poetry requires patience, some kind of obsessive quality or a willingness to submit to unpredictable turns. A poem that you thought was going to be about your grandfather in particular circumstances, maybe sitting on the porch with a dog, in the process of tinkering with the poem, all sorts of things come out. Once you have words on the page, they make love to one another. They pair. They do strange things. Then, to your great surprise, through the various drafts of the poem you realize that the only way to make this poem work is to get rid of your grandfather. Sorry, grandpa. A photo of his father arm wrestling and a few bottles of grapa can be found in his office. 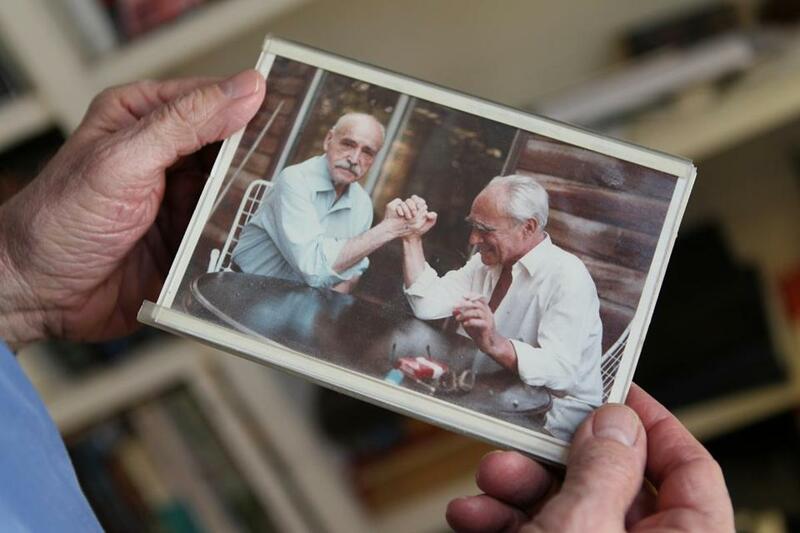 His dad (left) and uncle arm wrestling.